Full mouth extractions? Sounds like a nightmare! 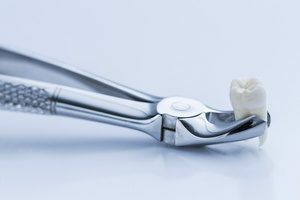 Extracting teeth does not need to be traumatic, dramatic or painful. Our patients are impressed with Dr McCaskey’s extraction ability. Many patients tell us they only needed one pain pill the next day. Our patients, after full mouth extractions, return to work within 3 days. Bruising and swelling is rare in our office. Why do people need full mouth extractions? In preparation for dentures, partials or implants. Some people can not afford crowns & bridges to restore their teeth. Many mothers and fathers sacrifice dental work on their teeth to pay for their children’s needs. We do not judge our patients. We understand everybody’s journey in life is different. We are here to help.